We are a family run RV park that is 55 and older with same ownership and management since 1991. We are not a fancy park, but we have great people. Once you come to Summer Breeze RV Park you will feel like you are home. We have a lot of fun here, which means we have happy campers. And we cost less than the other guys. We also wanted to let you know that you’re really important to us, because we couldn’t be in business without you. We are located at the north end of famous Lake Okeechobee the "Speck" Capital of the World! Fishing is great here and the weather is mild. 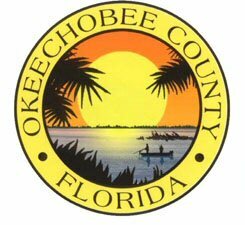 Okeechobee PRO TEAM is rated the #1 Lake Okeechobee bass fishing guide service. Okeechobee fishing is considered one of the leading outdoor adventures in the World, conveniently located in Central Florida. Your just minutes from the ULTIMATE bass fishing experience. It's time to go TROPHY CATCHING, not just fishing! We are proud members of Passport America.